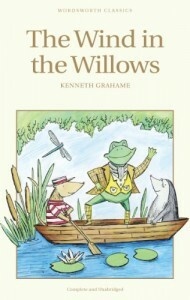 More review to come, but although I though the story was cute, I am not a fan of Mr. Toad and there was just a bit too much of him in this book for my taste. Also the scale-issue where animals like moles and frogs were the same size as humans just through me off at every turn and I just couldn't get past it. I had been wanting to read this book for some time but took me longer than I expected to read it given other external factors.